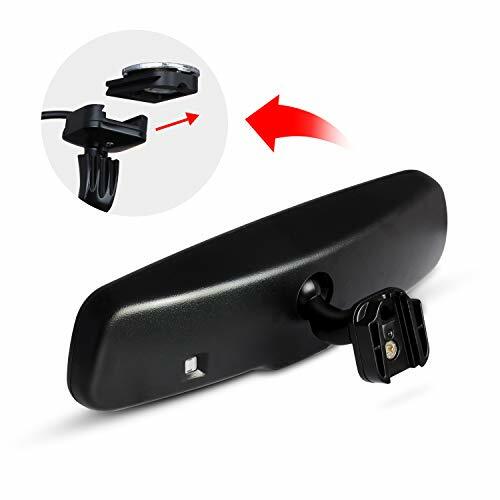 【High Compatibility With OEM Look】: With the brackets, T1400U can be anti-vibrated under various bumpy road. 4 mirror's bracket adapters are included. Long lifetime durable in use as the factory mirror;More stable mount than others. 【Without Running Any Video Cables】: T1400U features a wireless design which makes it easy for DIY installation. 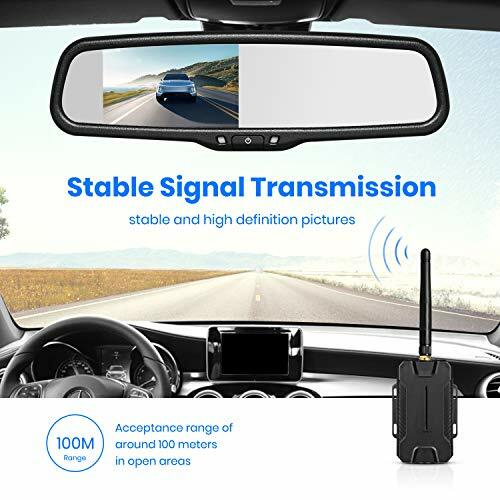 The image signal on the rear view mirror camera is transmitted wirelessly. You don't have to run a video cable below your vehicle.It throws away the traditional complicated cable routing.1. 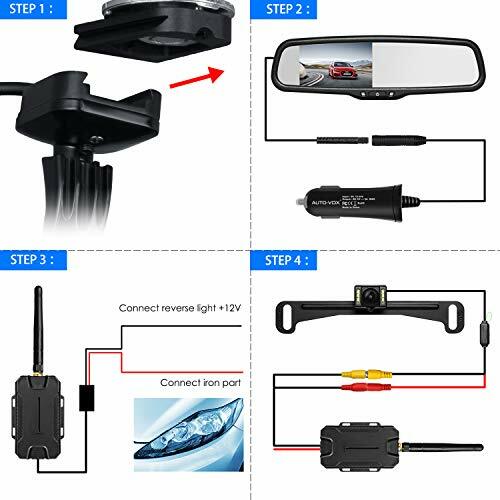 Attach the mirror and plug the car charger. 2. 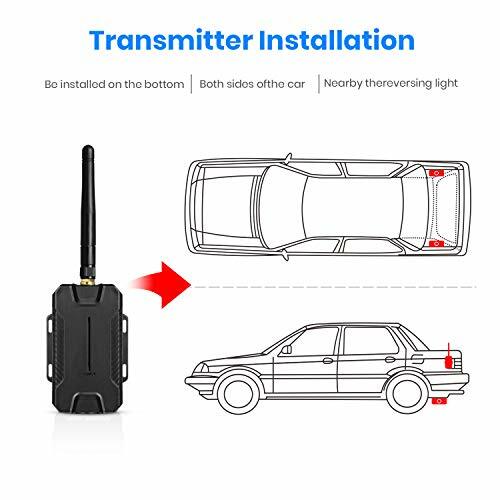 Connect red wire of the transmitter to reverse light(+) and black wire to any metal ground screw. 3. 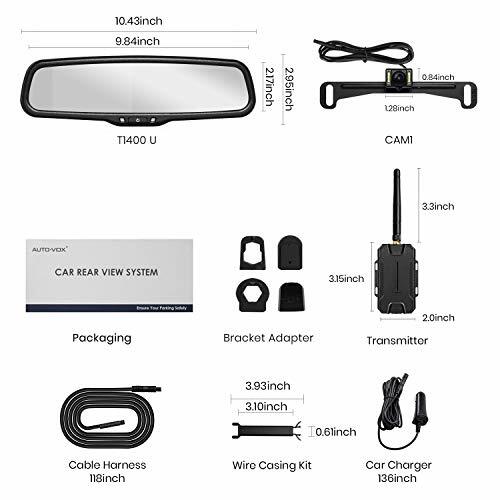 Install backup camera to the wireless transmitter. 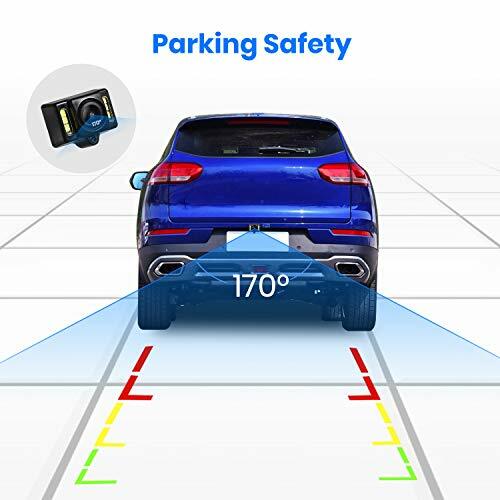 【Infrared Night Vision】: This backup camera features six high brightness infrared LEDs night vision. 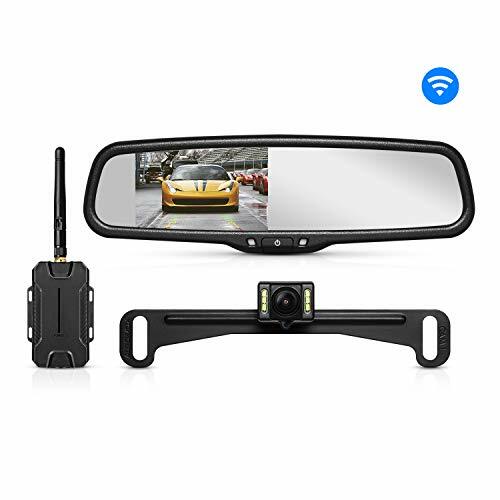 The High Brightness Infrared LEDs of this wireless backup camera system automatically switches on/off whenever the environment light lowers. It utilizes 6 LEDs at 26 lumens each for maximum brightness and clear images from up to 100 feet away. 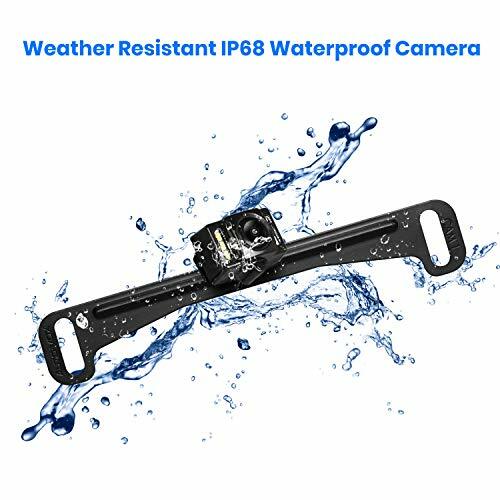 【Weather Resistant IP68 Waterproof Camera】: The rear view camera has a durable design, IP68 waterproof rating and can even operate in temperature as low as -40 degrees Fahrenheit. It can withstand hostile weather elements such as ice. 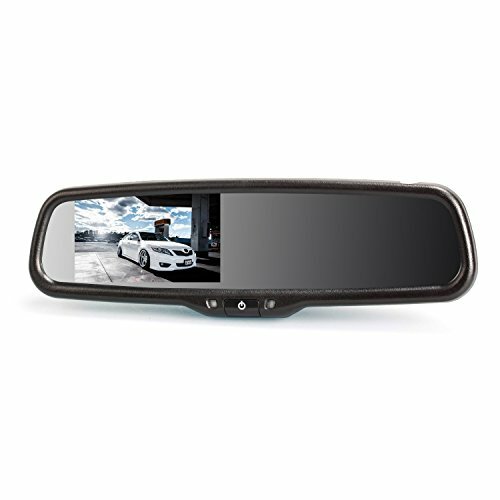 This backup camera enables you to drive at ease even when it is raining heavily. If you live in a region with frigid temperatures, the camera is a perfect choice. If you have any questions about this product by AUTO-VOX, contact us by completing and submitting the form below. If you are looking for a specif part number, please include it with your message.